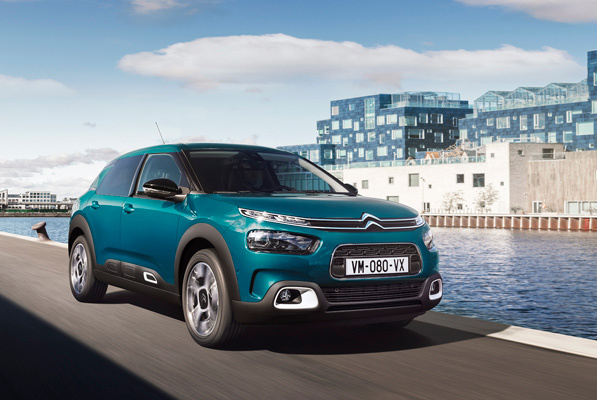 Promotion available on new CITROEN C4 CACTUS models. Deposit Contribution only available in conjunction with FCA Financial Services. With FCA Financial Services you have the option to return the vehicle and not pay the final payment, subject to the vehicle not having exceeded an agreed annual mileage (a charge of 6p per mile for exceeding 0 miles per annum in this example) and being in good condition. Finance subject to status. Guarantees may be required. Terms and Conditions apply. We work with a number of creditors including FCA Financial Services. PO Box 4465, Slough, SL1 0RW.